Sexual assault gained attention on the campus when the Office for Civil Rights notified leaders in December 2014 that the college was the subject of a complaint. The institution has affirmed its commitment to victims of sexual assault, collected resources online, and pledged full cooperation. This 402-page document bundle includes correspondence between the U.S. Dept. of Education and the college and complainant. 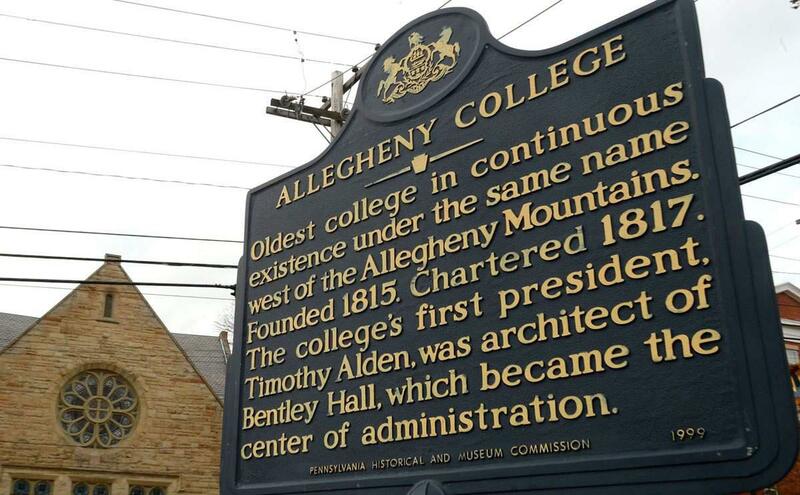 Closure letter for Allegheny College investigation. This 5-page document bundle includes letters from the Education Department to the college and complainant informing them that an investigation is being opened. The investigation was administratively closed by the Education Department, which means there is no letter of findings or resolution agreement. No closure letter has yet been made public. Allegheny College says it's cooperating with the U.S. Department of Education investigation that the school's response to sexual violence or harassment wasn't sufficient. The federal government is investigating Allegheny College's handling of a sexual assault or harassment complaint.